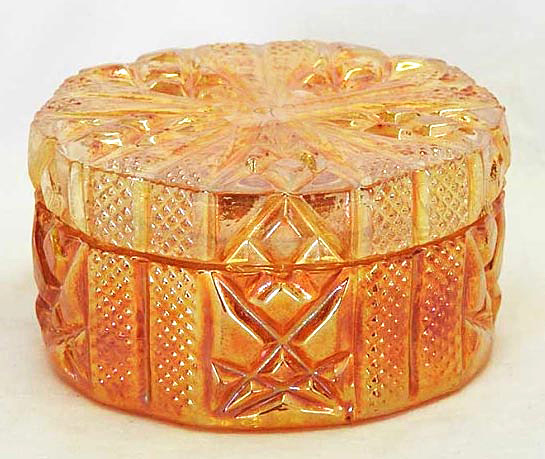 When this marigold powder jar sold in 2016 for $375, it was attributed to Brockwitz. Photo courtesy of Seeck Auctions. 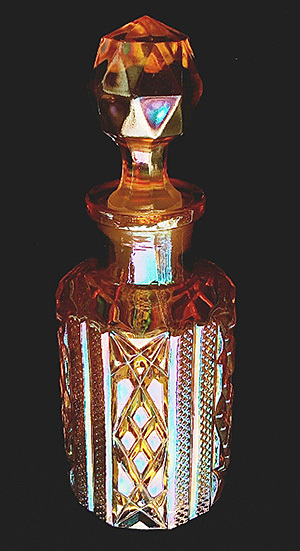 The Diamond File Panels cologne bottle at the left is one of four sizes in the pattern. 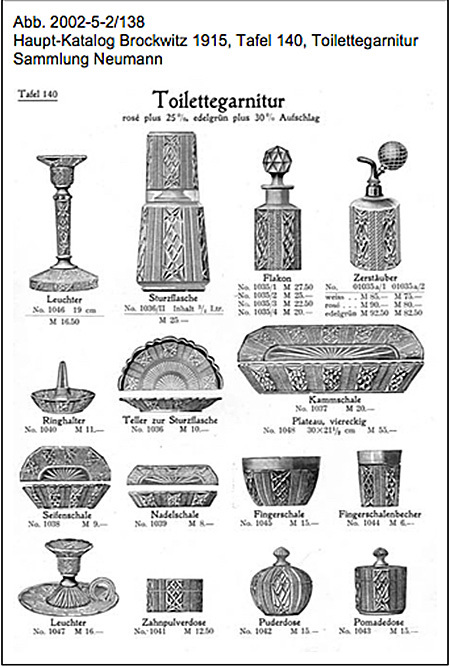 It is called a Flakon, or flask in the 1915 Brockwitz catalog below. Thanks to Kate Lavelle for the photo.